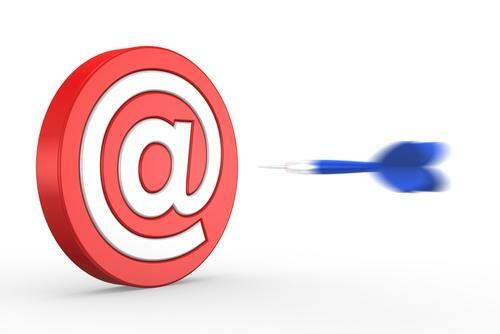 Are you wondering if your real estate email marketing is effective? If there’s anything you can be doing to make it more successful? And if you’re not doing any email marketing right now but are thinking about starting, this article is for you, too. In this post, I’ll discuss three important considerations when sending out an e-newsletter, a Just Listed/Just Sold e-flier, or planning your next drip marketing campaign. It’s important to note that a real estate customer relationship management (CRM) is the best system to use for all your email marketing needs. Sending out mass emails from an email client such as Gmail or Outlook isn’t great for maximizing your email deliverability. And using a dedicated email marketing system, such as Constant Contact, can be cumbersome, as you’re forced to move data from your contact management system into the software and vice versa. A CRM for Realtors lets you manage all of your marketing and contact data in one consolidated place. Great email marketing isn’t about selling — it’s about providing value. Before sending out a mass email, ask yourself, “Why would my contacts want to get this email?” If there’s no real value for the people you’re sending it to, don’t send it. Include visuals and make sure the email is formatted nicely so it’s eye-catching and has a clean design. Check out these eight copywriting tips to improve your real estate marketing for some excellent guidelines for email content. If you’re not good at writing or designing marketing emails, or simply don’t have the spare time, make certain to choose a real estate CRM with a variety of high-quality templates and a professionally written and designed monthly real estate newsletter. Be sure your emails include a call to action (CTA), which is when you specify an action you’d like your prospect or client to take, such as “to sign up for a free home value consultation, call to get more information,” etc. Sending targeted emails means sending different ones to various groups of people in your database based on their unique needs. Your email to potential first-time buyers will be different than your one to FSBOs, and that will be different than the one you send to past clients. You’ll want to create groups in your real estate database/CRM so you can easily send out targeted emails to specific types of people. You could have a church group, an A-list client group, an open house group, a former colleague group, etc. It’s a good idea to highlight in the beginning of the email any kind of shared experiences with your recipients, if applicable. Your emails should be personalized, too. A good Realtor CRM will automatically insert the recipient’s name in the salutation area and let you easily add in mail merge fields throughout the body of the email. All of this makes the email sound like it was written just for them and not a mass email that you sent to many people in your database. Suppose you just sent out an impressive Just Listed e-flier for a well-priced new listing in a sought-after part of town. Now you’re sitting at your desk waiting for the emails and phone calls to come flooding in. But instead of the phone ringing, you hear crickets. This is where email campaign reporting comes in. 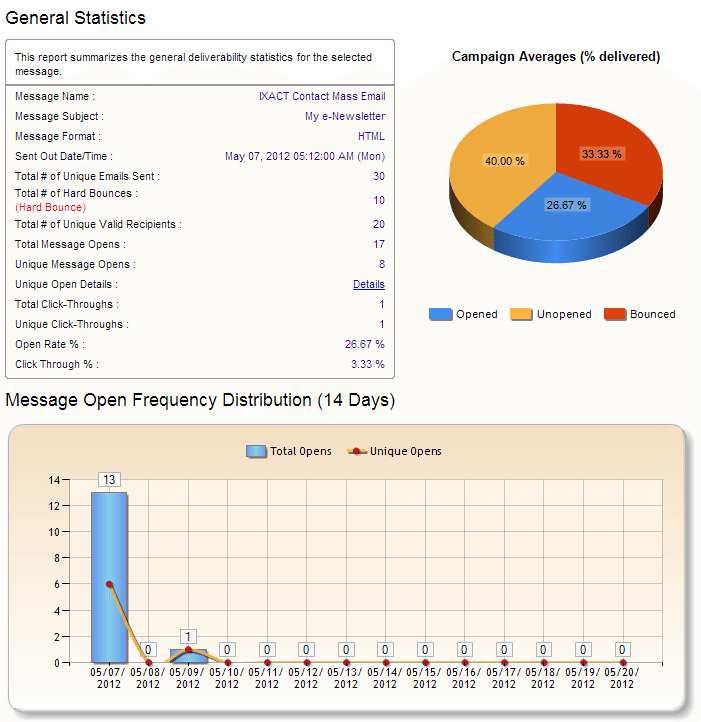 Email campaign reports highlight quality leads hiding in your database. Now, here’s the beauty of these reports: You can view who has opened your email more than once, and who has clicked on any hyperlinks such as a “Click Here to Learn More” call to action. These people are likely interested in what you’ve sent and may be hot leads. Just because they haven’t called you (yet) doesn’t mean you shouldn’t pick up the phone and call them. You can also view bounces. Perhaps you have a lot of email addresses that are no longer valid. You don’t want to be sending email to people you think are receiving it when they’re really not. If you see hard-bounced emails, you’ll want to go ahead and update those particular email addresses in your real estate database. And here’s another benefit of email campaign reporting: Based on your open rate and click-through rate, you can experiment with different subject lines or different types of emails or content to see which performs best. This way, you’re not marketing in the “dark” but instead can improve the effectiveness of your email marketing over time. Whether you’ve already been doing email marketing or are just starting out, I hope you take the above considerations in mind to help you improve your effectiveness. Email, when combined with other communication channels, can be an amazing tool to stay “top of mind” with your sphere of influence, generate new leads, convert leads into clients, forge lasting relationships, and get more referrals and repeat business.